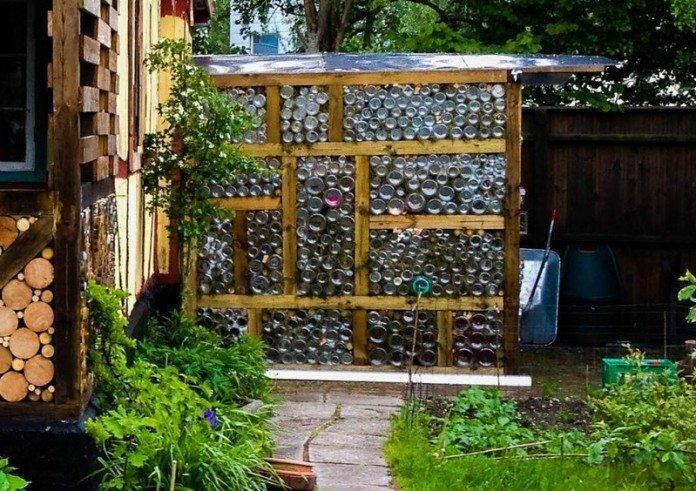 Glass Jar Greenhouse | DIY projects for everyone! Want to build a greenhouse in your backyard? 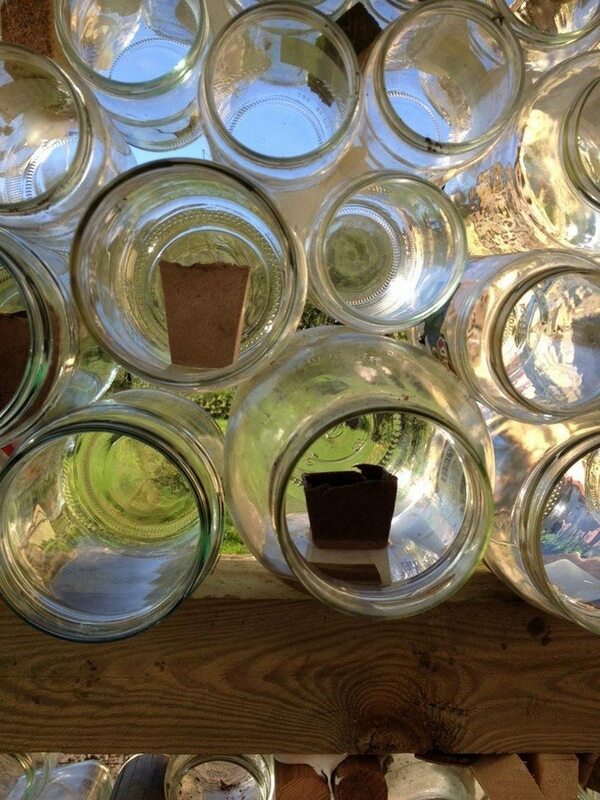 If you have access to plenty of glass jars, you can use them for a very cheap building project! Start asking your friends and neighbours for empty jam jars. You can also ask your local restaurants and take-aways to keep bottles for you! This greenhouse costs almost nothing depending on the materials you already have. We’ve been collecting glass jars for quite sometime now without any purpose in mind. When we came across this idea we’re glad we’re already halfway through getting enough glass jars for this greenhouse project! We think this is a great idea since you can even use the largest glass jars to start some seeds — mini greenhouses inside a greenhouse! The only thing missing in this greenhouse is the permanent roof. If you were to build one, what roofing are you going to use? Read on to see how DIY-er dklafe built his glass jar greenhouse and share your ideas on how it can be further improved! I used 10cm x 10cm “fence” posts for the frame which worked out quite nicely with the average height of my glass jars. My greenhouse is “free standing” but I guess it would be best to have some sort of foundation if building on grass – the final structure is quite heavy. It is important not to make the spaces between the posts – too large, stacking the glasses can be tricky – and if they are high up can be dangerous. My greenhouse is roughly 2m square – and when its finished will probably have used about 1000 jam jars. (and i have only filled 3 out of 4 walls). I asked all my neighbours and colleagues to bring me their jars. The canteen at work was also great for getting over sized jars – the big jars can have multiple uses. I 3D printed this adapter to collect rain water. The files are available from thingiverse. I mixed some fine gravel and a bag of cement (no water) – I spread the mixture on the floor about 1cm deep. I then pressed in the lids, trying not to think about the order and colours. I like the random look. After a few days the gravel/cement mixture had absorbed moisture from the air and had set. TIP: I was amazed at how many lids were required to tile the floor. You might want to make sure you have enough lids before you start setting them in cement. Thanks to dklafe for this great idea!